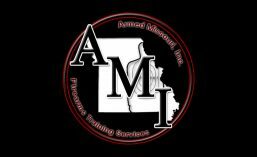 Essential Defensive Pistol | Armed Missouri, Inc. Prerequisite: NAPSI FDP or BDSS Course Completion Certificate or pass a three-part pre-course qualification test. Course Length: Minimum 9 hours (not including lunch or breaks). Course Description: The N.A.P.S.I. Essential Defensive Pistol (EDP) Course was developed to provide the student with an opportunity to build upon the foundational skill-set and knowledge base that was acquired in FDP or BDSS. This includes a continued focus on the defensive mindset, discussion regarding avoidance/de-escalation strategies, an understanding of the physiological changes that occur in the body when under lethal force stress and what affect they have on our training, and a series of skill development exercises that will help the student learn to more efficiently and effectively use a handgun for self-defense in a lethal force encounter. EDP focuses on encounters that take place at distances beyond two arms reach. This is the class where all of the foundational work completed in FDP and/or BDSS starts to come together with a true mastery of running the gun. This course will allow the student to safely push his/her performance limits while quickly building the confidence and competence needed to prevail in a real lethal force encounter. EDP answers the “why” questions with quantifiable, empirical evidence-based information.